Sorry to all my watcher, I have not posted in a wail. 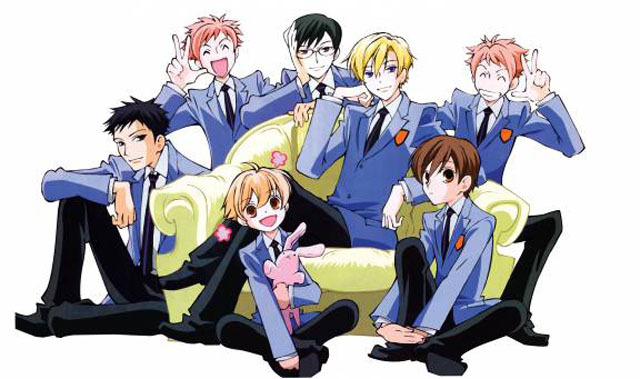 Ouran High School Host Club is a very cute anime. It's about Haruhi who is very boyish looking and a host club. Haruhi wants a quiet place to study, so she goes into the unused music room. But to her surprise a host club is there. When she is unexpectedly greeted by these 6 very hansom boy's she tried to leave, but ends up breaking a vase that is worth more than she could imagine. When Tamaki offers her a job there to pay off the vase. She accepts because she can't pay the vase. She accepted more that she could handle. The manga continues even though the anime may ended.